Despite a recording career that spanned twenty-nine years, and over twenty albums, Florida born trumpeter, Blue Mitchell, never enjoyed the same critical acclaim that many of his contemporaries enjoyed. Blue wasn’t perceived as a groundbreaking musician. However, he enjoyed a successful career, touring widely and releasing a string of successful albums. His debut album was The Big 6, which was released on Riverside in 1958. This was the first of seven albums Blue released on Riverside. By the time he released The Big 6, Blue was already twenty-eight. Richard Allen Mitchell was born on March 13th 1930, in Miami, Florida. He first started playing the trumpet in high school back in Miami, Florida. That’s where he first acquired the nickname “Blue.” It stuck throughout his career, which began in 1950. Blue was twenty when he first started working on the Southern chitlin circuit. He was hired by Paul Williams, who enjoyed a hit with The Hucklebuck. As a result, Paul Williams’ band was a popular band. They were booked all over America. So, Blue spent time criss-crossing America with Paul Williams’ band. However, in 1952, Blue headed to New York. Now living in New York, Blue started working with Lou Donaldson. He played on one of Lou’s Blue Note sessions. Another member of the band that day, was Horace Sliver. Their paths would cross again. Before that, Blue joined Earl Bostic’s band. For three years, Blue was a member of Earl Bostic’s band. It toured throughout America. For Blue, this was more profitable than session work. It also allowed Blue to hone his sound. However, after three years on the road with Earl Bostic’s band, Blue headed back to Florida. That’s where Blue remained until Cannonball and Nat Adderley came calling. They wanted Blue to return to New York. Blue decided to head for the Big Apple. It proved to be a good decision. After working on a Nat Adderley session for Riverside, Blue was offered a recording contract by Riverside. Blue’s Riverside debut was The Big 6. It was released in 1958. He released six further albums between 1959 and 1962. Out Of The Blue released in 1959, is now perceived as one of Blue’s finest albums. It wasn’t the only album Blue released in 1959. He also released Blue Soul. Then as the sixties dawned, Blue release another of his greatest albums. As a new decade dawned, Blue released Blue’s Mood in 1960. It’s remembered as one the finest album Blue released on Riverside. Gradually, it seemed, Blue was establishing a reputation as a talented and popular artist. The followup to Blue’s Mood was Smooth As Wind, which was released in 1961. Then in 1962, Blue released his two final albums on Riverside, A Sure Thing and The Cup Bearers. After this, Blue signed to one of jazz’s premier labels, Blue Note Records. Having signed to Blue Note Records, Blue recorded Step Lightly in 1963. However, it wasn’t released until 1980. 1964s The Thing To Do became Blue’s Blue Note debut. It was followed 1965s Down With It. 1966 proved to be a busy year for Blue. During 1966, Blue released two albums on Blue Note, Bring It On Home To Me and Boss Horn. A year later, he released Heads Up! in 1967. After Heads Up, Blue Note decided now was the time for Blue to change direction. So, the hooked Blue up with producer Monk Higgins. They hoped that with Monk Higgins producing Blue’s next couple of albums, maybe, Blue would enjoy a crossover hit. Monk produced 1968s Collision In Black and 1969s Bantu Village. Neither however, came close to giving Blue a crossover hit. As a result, after Bantu Village, Blue was dropped by Blue Note Records. It would be two more years before he released another album. After leaving Blue Note Records, Blue joined the Ray Charles Orchestra. He also worked on sessions by Lou Donaldson, Grant Green, Dexter Gordon, Horace Silver and Bobby Hutcherson. During this period, Blue rethought his future. He realised that jazz was changing. It had to evolve to stay relevant. If jazz didn’t change, it risked becoming irrelevant. So when Bob Shad signed Blue to Mainstream Records, his sound changed slightly. For Blue Mitchell, Blue’s 1971 eponymous debut album, Blue penned five of the six tracks. This included Soul Village, Blues For Thelma, Queen Bey and Mi Hermano. The other track was a cover of Benny Golson and Sergio Mihanovich. These six tracks were recorded by Blue’s quintet and produced by Bob Shad. When recording of Blue Mitchell began in 1971, Blue’s band included a rhythm section of drummer Doug Sides and bassist Larry Gales. They were joined by pianist Walter Bishop Jr, tenor saxophonist Jimmy Forest and Blue on trumpet. 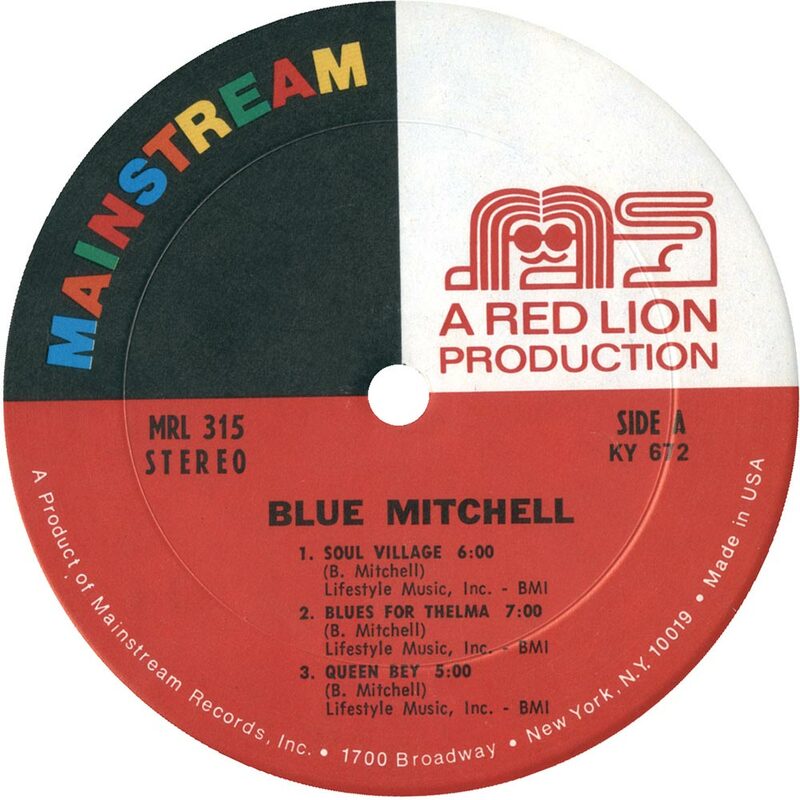 Once Blue Mitchell was recorded, it was released later in 1971. On its release in 1971, Blue Mitchell passed critics and record buyers by. In retrospect, that’s not a surprise. Jazz was no longer as popular. Funk, fusion and Latin music were much more popular. As a result, many jazz musicians were struggling to make a living. Blue certainly didn’t get rich releasing Blue Mitchell, which I’ll tell you about. Soul Village opens Blue Mitchell. Just Walter Bishop Jr’s electric piano and cymbals play. Soon, drums enter, providing the heartbeat. They’re joined by tenor saxophonist Jimmy Forest and Blue on trumpet. Stabs of braying horns unite, soaring above the arrangement. Meanwhile, the electric piano is pulled back in the arrangement. The drums are much more prominent. They’re up front with the horns. Then come the solos Blue and then Jimmy unleash braying, blazing solos. They’re best described as soulful. Later, and somewhat belatedly, Walter is allowed to showcase his skills. After the solos, Blue and his band unite, before the track reaches a dramatic crescendo. Just a strident piano and rhythm section join drive the arrangement to Blues For Thelma along. They’re then joined by the horns. They play as one, while Larry Gales’ bass propels the arrangement along. It’s accompanied by rolls and fills of drums. Atop the arrangement, Blue unleashes a blistering solo. This seems to inspire his band. Picking up the pace, they match Blue every step of the way. Playing with a freedom and flamboyance, Blue’s band produce a breathtaking performance. Everyone plays their part. That’s apparent when the solos come round, as a seven minute hard bop Magnus Opus takes shape. Straight away, Queen Bey has you hooked. It’s Caribbean sound very different from previous tracks. The arrangement is propelled along by a mesmeric piano and the rhythm section of bassist Larry Gales and drummer Doug Sides. They’re joined by braying horns. They veer between powerful to understated. As the arrangement swings along, its much looser, freer sound proving truly irresistible. Dance-floor friendly, it’s joyous and irresistible musical tour de force from Blue Mitchell and friends. Originally, Are You Real was recorded by The Jazz Messengers for their 1958 album Moanin.’ Here, Blue gives the track a bossa nova makeover. This really suits the track. It literally floats along, with Blue leaving space in the arrangement. The horns are much more restrained than on previous tracks. It’s as if Blue and Jimmy are playing within themselves. They leave space, allowing the music to breath. Meanwhile, the shuffling rhythm section and piano provide a backdrop for the horns. Gradually, Blue begins to play with more power. Effortlessly, he unleashes what’s without doubt, one of his best solos. It seems to inspire the rest of the band when the solos come round. Are You Real becomes a game of daring do, with each member of the quintet trying to outdo the other. As a result they all play their part in the reinvention of a familiar track. Mi Hermano closes Blue Mitchell. Just like the previous track, it has a Latin influence. Here, Walter Bishop Jr. returns to the electric piano. He’s joined by rolls of drums and a dark, moody bass. It adds to the drama, as they set the scene for the horns. Blue and Jimmy make their entrance, adding stabs of horns. They leave space for Walter’s piano and Doug’s drums. With Larry’s bass, they drive the arrangement along. The electric piano suits the track, adding a different texture and more contemporary, innovative sound. Later, when the solos come round, the horns have a sharper, clearer sound, ringing true as they soar above the arrangement. Meanwhile, the track veers between jazz, Latin and fusion, taking on a sound that’s variously dreamy, dramatic, wistful and innovative, before it reaching its finale. For Blue Mitchell, signing to Bob Shad’s Mainstream Records was a new start. He’d been two years without a recording contract. This allowed him to rethink his future. He knew that if he recorded another album of straight-ahead jazz, it would sink without trace. After all, jazz was no longer as popular. The fifties and sixties had been jazz’s glory days. Now jazz was changing. Only those will to innovate would survive. Some artists, including Miles Davis, took this as a challenge. He took to fusing jazz and rock, during his electric period. Sun Ra, meanwhile, took free jazz in previously unexplored direction. Both of these musicians were known as innovators. Blue Mitchell, however, wasn’t regarded as an innovator. However, on Blue Mitchell, which will be reissued by Boplicity, an imprint of Ace Records, on 1st December 2014, Blue decided to change direction. He had to. His career was at stake. It was becoming increasingly difficult to make a living playing jazz. 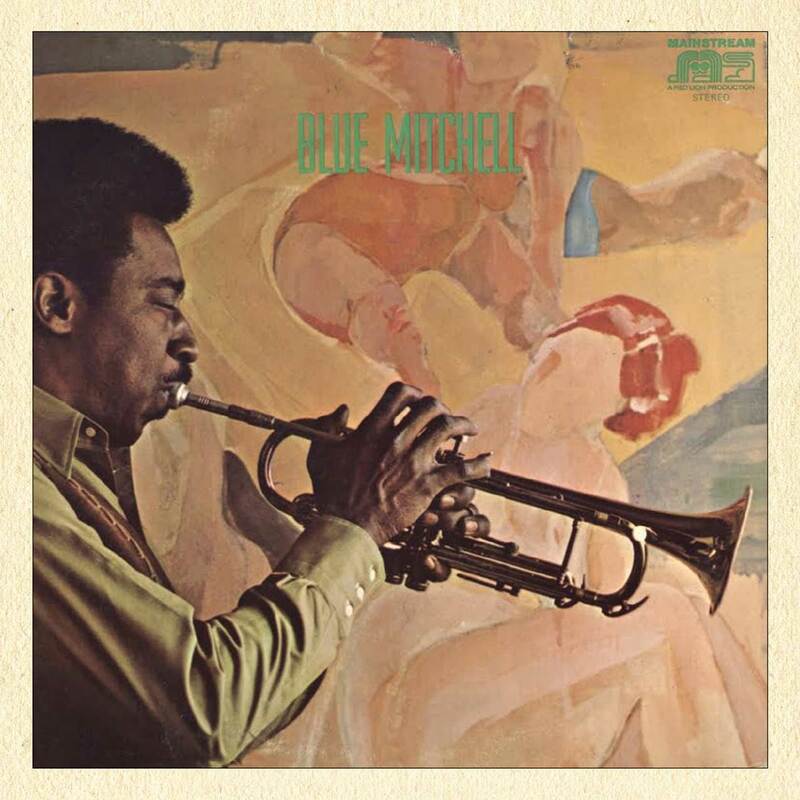 So, Blue incorporated bossa nova, Caribbean, hard bop, jazz and Latin music on Blue Mitchell’s five tracks. The result was a genre-melting album where Blue tried to defy his critics. Critics had always accused Blue of not being an innovative musician. This accusation stung. He released some critically acclaimed albums, and enjoyed a successful career. Only now, was it becoming hard to make a living as a jazz musician. So, it was a case of needs must. Blue decided to try and innovate on Blue Mitchell. He remade The Jazz Messengers’ Are You Real, giving it a bossa nova makeover. This was part of the most eclectic album of his thirteen year recording career. Despite this, Blue Mitchell wasn’t a commercial success. This wasn’t down to the music on Blue Mitchell. The problem was jazz was out of fashion. For musicians like Blue Mitchell, it was a case of adapt or die. Following Blue Mitchell, Blue joined John Mayall’s American touring band. After this, his music began to change. It was influenced by rock and R&B. 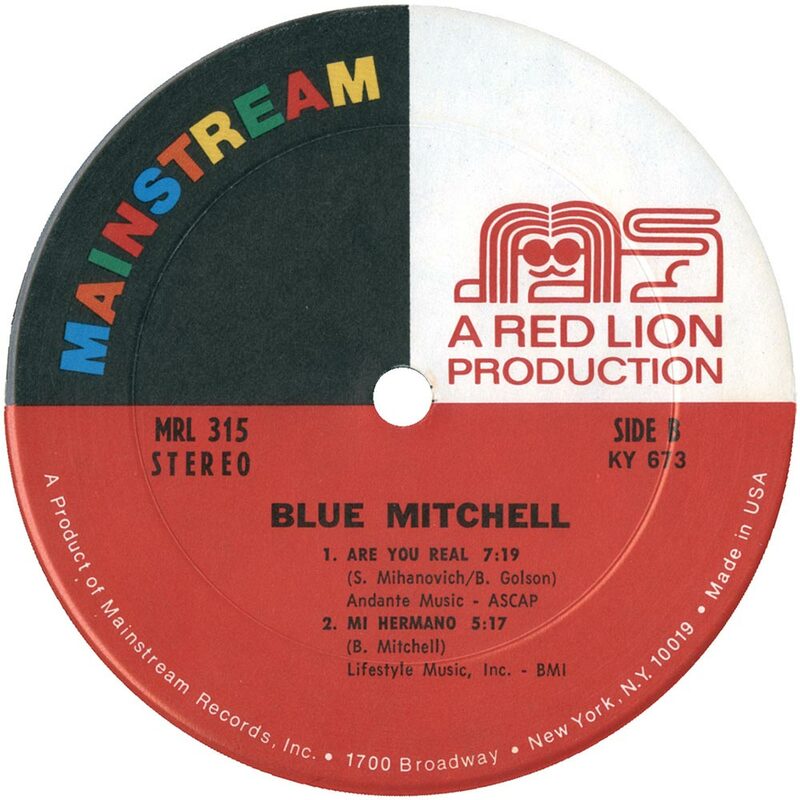 Albums like 1972s Blues Blues and 1973s Graffiti Blues saw Blue Mitchell change direction, in an attempt to reach a wider audience. Sadly, this didn’t work. That, however, was the least of Blue’s worries. In 1977, Blue was diagnosed with bone cancer. For the next eighteen months, Blue embarked upon life saving treatment. Sadly, Blue Mitchell died on 21st May 1979. He was only forty-nine. That day, jazz lost its most talented sons. 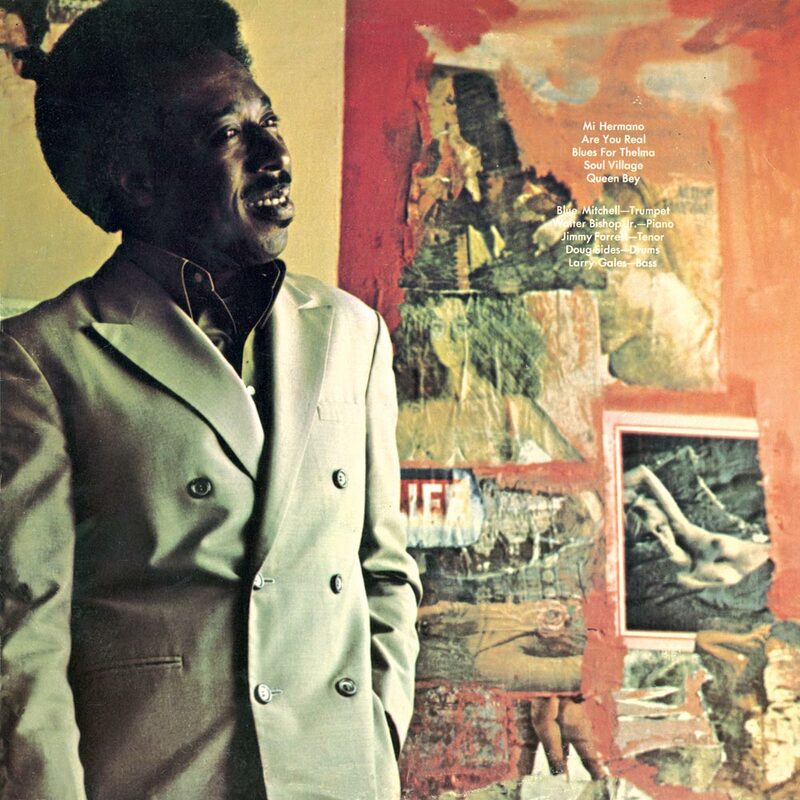 Blue Mitchell left behind a rich musical legacy, including his eclectic 1971 eponymous album, Blue Mitchell.